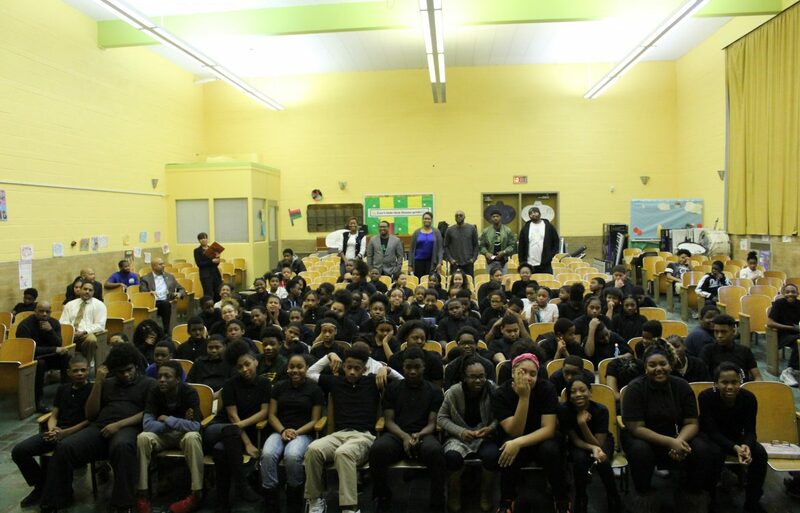 Dossin Elementary Middle School, located on the Detroit’s west side, was in for a treat on Thursday, February 28. The Black History Tech Po-Up Tour decided to make a trip to the school and talk to the young scholars. Dossin Elementary Middle School was the only middle school in Detroit that the tour stopped at. There were a total of six panelists that came and spoke to the students. Those panelists were: Jillian Blackwell from Microsoft, Michael Holloway, who is a CEO and Software Developer, Sharon Eddings, a CEO and Software Developer, Brandon Reed, a Game Developer and Founder, Jason Scott, a Software Developer and Jameel Riley from Google. These panelists talked to the students on the importance of pursuing a career in technology. With technology becoming more and more advanced each year, you can create many opportunities for yourself and have a successful career. The panelists also informed the students on what they do and how they started their career off. It was a very informative and engaging conversation and something the students could take with them for the rest of their lives. This all would not have happened if it wasn’t for Robert Jamerson, COO of Detroit PAL. Robert and David Greenwood, Director of Athletics at Detroit PAL, were both in attendance at the school event. Robert helped partner with some people who helped out with the Tour and came up with the idea of bringing the tour to a middle school. Detroit PAL always finds ways to help be a part of and give back to the community in any way, shape, or form.